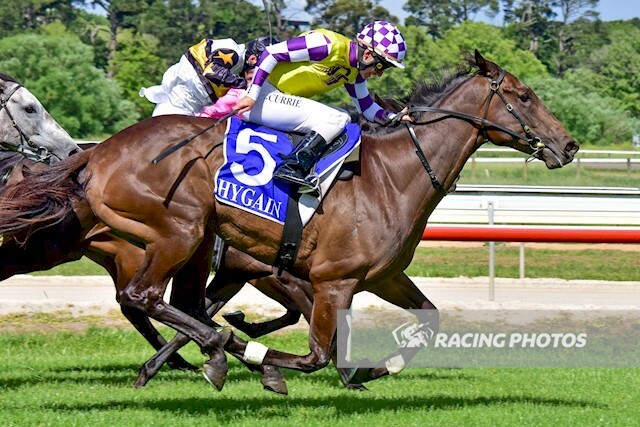 Promising stayer More Than Ever took another step in his development with a strong win at Kyneton on Wednesday, November 7. Rex ($26) with Pamando ($6), a half-head away third. After winning his maiden over 1612 metres at Kilmore on October 23, More Than Ever was able to step up to a benchmark 64 and win again, a top performance noted by Currie. “It was a good effort to win a maiden and then win again,” Currie said. “It was a track (Kyneton) that didn’t really suit him as he is a big horse and gets back. Darren McLeod, representing the McEvoy stable, said it had been an impressive win. “Tony believes he is a very progressive horse as long as we keep stepping him up in distance as we step him up in class,” McLeod said. “We had to take our time with him and the owners have been very patient. More Than Ever cost $150,000 as a yearling at the 2016 Inglis Australian Easter Yearling Sale and was purchased jointly by McEvoy Mitchell Racing and Blue Sky Thoroughbreds.